Composites One and the Closed Mold Alliance plan to demo their latest composites processes during CAMX 2017. 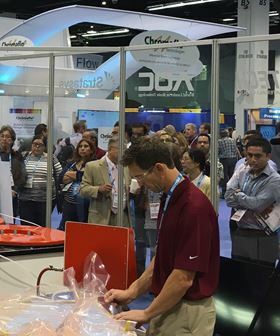 Composites One and the Closed Mold Alliance plan to demo their latest composites processes during CAMX 2017, taking place from 11-14 September in Orlando, FL, USA. ‘Each demo will be boiled down into a succinct, dynamic watch-and-learn presentation with practical tips and takeaways that attendees can then share with their employees and co-workers,’ said Marcy Offner, director of marketing communications, Composites One. The presentations will be focused on processes and products used in markets such as marine, architectural, corrosion/oil and gas, aerospace, infrastructure and automotive/transportation. Presenters will include representatives from the Institute for Advanced Composites Manufacturing Innovation (IACMI), Davis Technology, and Daytona State College and the demos will feature systems from Magnum Venus Products (MVP) and tooling from RTM North Ltd.